Do you have any questions about this product? Do you have any questions relating to special measure? 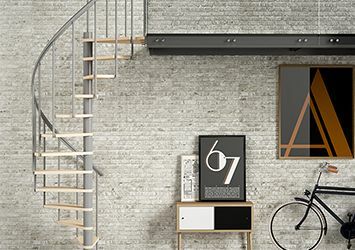 High quality, top loft ladders form the transition from the living area to the loft space. In addition to a simple and safe installation process the clickFIX® also prevents the loss of energy preventing the escape of warm air from the living area. 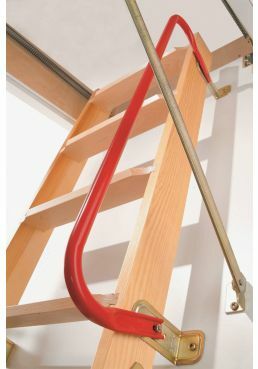 The patented loft ladder DOLLE clickFIX® meets all requirements in one system: Thanks to its modular construction and easy installation along with excellent insulation properties the loft ladder has a component U-value of 0.49 W / m²K. Thanks to its low weight and patented assembly technology with click modules, clickFIX® can also be easily installed by one person. It's simple, align the white 240 mm high casing, screw in place, click on the trapdoor and ladder section and adjust to the room height, job done. To ensure a perfectly airtight installation. A vapour barrier is supplied with this product. 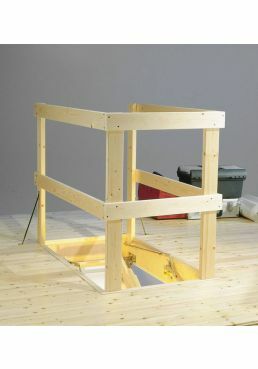 This ensures an airtight, connection between the loft ladder and the ceiling construction. The 76 mm thick trapdoor of the DOLLE clickFIX® keeps heat efficiently in the living area and is also CPL-coated. With this particularly robust laminate, the trapdoor is significantly more abrasion, scratch and impact-resistant than other surfaces. The secret lies in the top layer, which consists of melamine resin. It withstands light scratches as well as normal dirt, it's solvent and heat resistant, smudge-proof and easy to clean. The trapdoor maintains it bright white for a long time as impurities can be easily removed. In addition, CPL surfaces are colour and light-fast and therefore do not darken over time so the trapdoor not only fits discreetly into the ceiling it also remains in pristine condition. Building law category: unnecessary staircase. DOLLE provide a wide range of stylish staircases, Scandinavian designed and space saving. All the stairs offer you the chance to adapt to a room in your home.